Safe Rear Machine Entry –Efficient footprint and approachable, stable platform with minimal step-up height for easy-access from all angles. 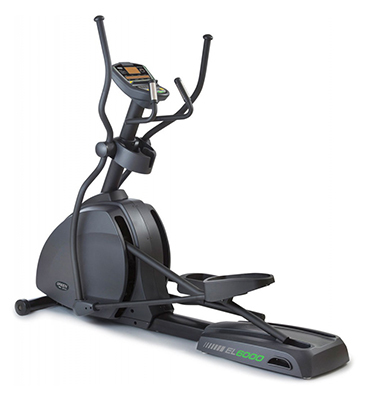 Ergonomic Pedal System –Pedals provide ultimate shock-absorbing comfort throughout the entire workout. 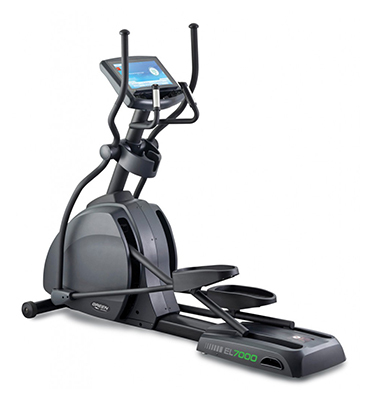 Self-Powered Design –The cordless, self-powered green design enables the elliptical to be powered by the user, thus reducing power consumption and saving energy. Heart Rate –Contact and telemetric heart-rate sensors. 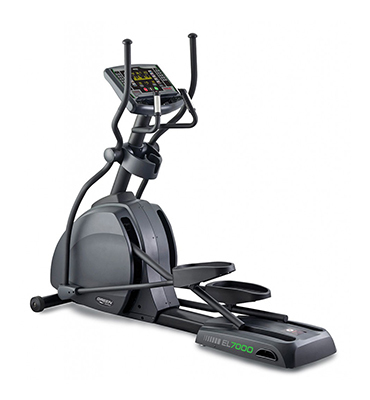 Display Feedback –Time, Distance, Heart Rate, Watt, RPM, Level, METs, Calories.